From pop icon Michael Jackson to Bollywood superstar Amitabh Bachchan and cricketer Sachin Tendulkar… his dalliance with global entertainers is well-documented. His funeral cortege on November 18, 2012, drew around one million people on to the streets of Mumbai, bringing the financial capital of India to a grinding halt. And for roughly around two decades, his word was writ in large swathes of the western Indian megapolis. For someone who had never held any public office or was never part of any major mainstream national party, Balasaheb Keshav Thackeray’s life and career will definitely rank among those in India who had an aura that was entirely self-motivated, though steeped in frequent bouts of controversies. His headline-grabbing comments made first-page news — not just in the Marathi daily he himself edited, but also in the national media. From openly supporting Bollywood actor Sanjay Dutt, after he was arrested on charges to illegal arms possession, to exhorting Shiv Sena activists to literally queer the pitch at Mumbai’s Wankhede Stadium to scuttle an India-Pakistan Test match, Thackeray’s maverick streak was as much talked-about as the tinsel town’s gossip mill. 1. Bal Thackeray had changed the spelling of his surname from ‘Thakre’ to ‘Thackeray’ after his favourite British author William Makepeace Thackeray. 2. He began his career as a cartoonist with the ‘Free Press Journal’ in Mumbai. A staunch Mumbaikar, Thackeray used his cartoons as a tool to campaign against workers who had come to Mumbai in search of jobs from other states. 3. In 1960, he launched a cartoon weekly called ‘Marmik’. 4. 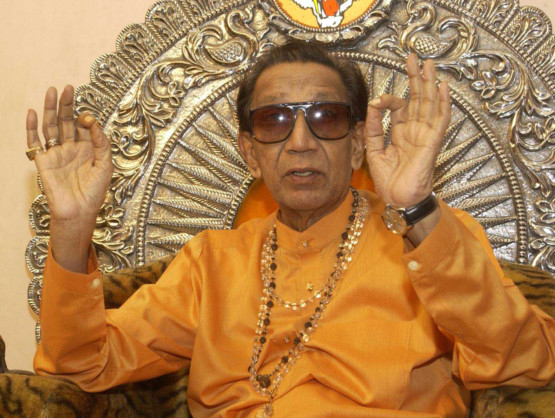 In 1966, he formed the ultra-rightist Shiv Sena – a political outfit launched with the declared purpose of upholding the rights of Maharashtrians in the western Indian state. 5. 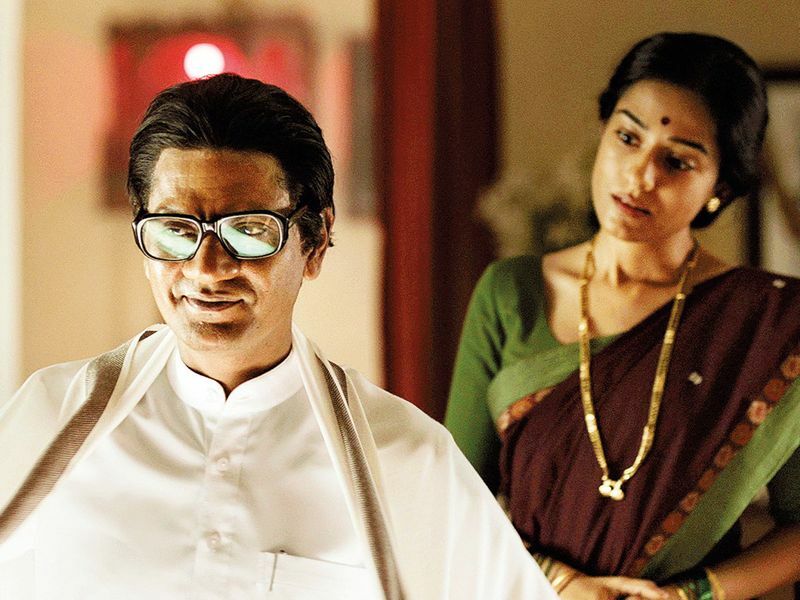 In 1982, when Bollywood superstar Amitabh Bachchan met with a life-threatening accident while shooting for the film ‘Coolie’, Thackeray met him at the hospital in Mumbai with a caricature of Yamaraj — the death demon — with the word ‘defeated’ written next to it! 6. He launched the ‘Samana’ newspaper in 1989, for which he used to write regularly. 7. Michael Jackson, during his visit to India in October 1996, met Thackeray at his residence in Mumbai and reportedly autographed the toilet he had used at the Thackeray residence. Thackeray had presented the pop icon with two traditional Indian musical instruments: A tabla and a tanpura. 8. Acclaimed author Salman Rushdie took a dig at Thackeray in his book ‘The Moor’s Last Sigh’. The book was banned in Maharashtra fearing a Shiv Sena backlash. 9. Reportedly under his instructions, Shiv Sena activists vandalised the pitch at Mumbai’s Wankhede Stadium to scuttle an India-Pakistan cricket Test match in 1999. 10. He was banned by the Election Commission of India from voting and contesting in any election between 1999 and 2005. 11. He always shared a special relationship with Bollywood. The ‘Sarkar’ series of movies was based entirely on his life. He firmly stood by Bollywood actor Sanjay Dutt when he was arrested on charges of illegal arms possession in 1993.